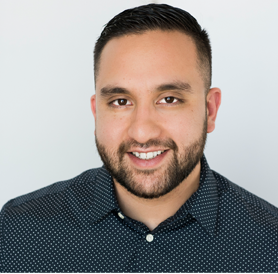 Armando Castillo - InsurAide Insurance Agency Inc.
A native of Los Angeles, Armando began his insurance career working as an intern for a State Farm agent where he was able to get his “feet wet” supporting with clerical tasks in the agency. He soon developed a passion for insurance and attained his Property Casualty license in 2013. He joined the InsurAide team in 2016, focusing on maintaining and developing client policies for both auto and home. Armando’s passion for ensuring his clients are protected, stem from an actual real-life, personal experience where his family didn’t have the coverage they needed and it resulted in a detrimental loss. His goal is to ensure that never happens to YOU!